MUSCLEHEDZ® began as a small side-project that has grown into a popular bodybuilding cartoon series. John Gleneicki, the artist behind the cartoon series, was looking for a way to supplement his income in late 1992. He decided to approach a local (Canadian) bodybuilding newspaper/magazine, MAX Bodysport, about the possibility of submitting his cartoons for publication each month. MAX Bodysport&apos;s editor took him up on the offer, but the magazine folded shortly thereafter; however, MAX Bodysport was around long enough for John&apos;s cartoons to be published and for John to realize that he had created something unique. John spent the next few months of late 1992 reading many of the top bodybuilding magazines and educating himself on the finer details of the sport. He then decided to send some of his best cartoons to those same top magazines to see if there was any interest in what he was doing. FLEX magazine&apos;s Editor-In-Chief, Jerry Kindela, was the first to respond. Kindela said that he had never considered publishing humor in FLEX - that is, until he saw MUSCLEHEDZ. As it turned out, other magazines&apos; editors responded similarly, including MUSCLEMAG International&apos;s Executive Publisher, Robert Kennedy, who said that MUSCLEHEDZ was one of the best bodybuilding cartoons he&apos;d seen in his 30 years in the iron game. Over the last 15 years, MUSCLEHEDZ® has gained a legion of fans and a very loyal following - one that continues to this day. 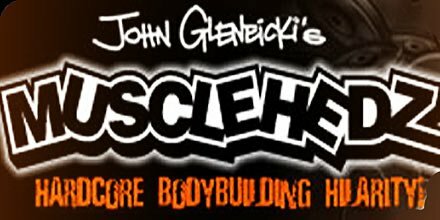 And, you can now see MUSCLEHEDZ here, every week, on Bodybuilding.com.